Here I am…finally starting my own blog. I have been thinking about blogging for quite some time now and it is good to start it now. 1. I hope to attract a bigger audience by writing in English. 2. It’s a good practice for me to improve my writing skills. For english natives: Please be kind if my English might sound odd. I hope everybode get’s the message I try to convey possibly violating some eloborate rules on phrasal verbs or grammar. 3. Most professional research on SQL and BI I do is done in English. I assume most german colleagues do this as well and thus would be able to follow this blog in English as well. So what is this gonna be all about? I’ll write about topics in SQL, database design, database administration and business intelligence I am passionate about. 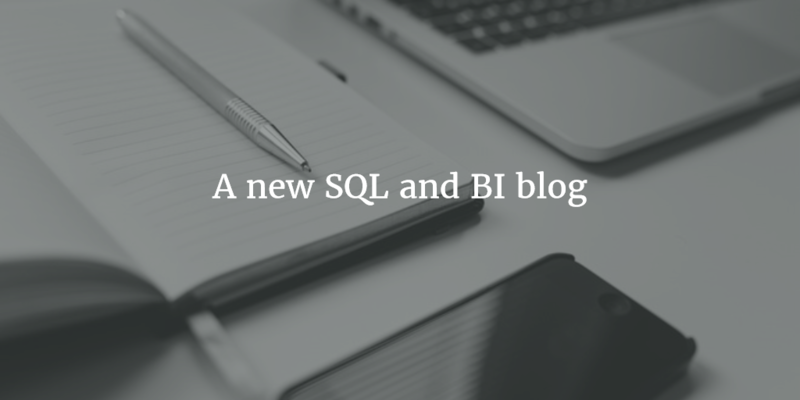 By doing this I try to avoid writing about things you could read in lots of other SQL and BI blogs. I won’t be the 1000th to explain how to concatenate strings in SQL or such stuff others have already answered perfectly. I definitely will write a little bit about a german BI/reporting tool called Cubeware Cockpit. Why is this blog called New Row? Each day I learn somthing new. I like to compare it with a SQL database which usually gets more and more rows each day. Thanks for reading. Stay tuned for my first blog posts coming soon.